With the pending postal strikes from Royal Mail I thought it might be nice to look back to a time when I remember Royal Mail to be reliable. 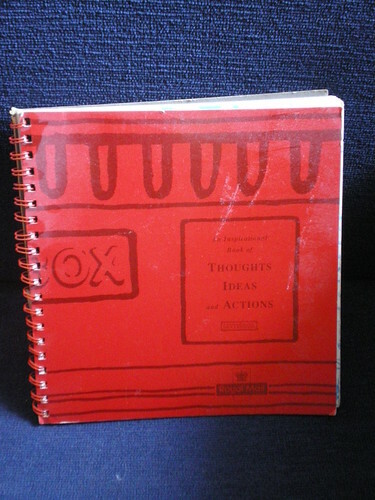 I bought this little red “royal mail” notebook entitled “thoughts ideas and actions” in a second hand bookshop or charity shop about 10 years ago. 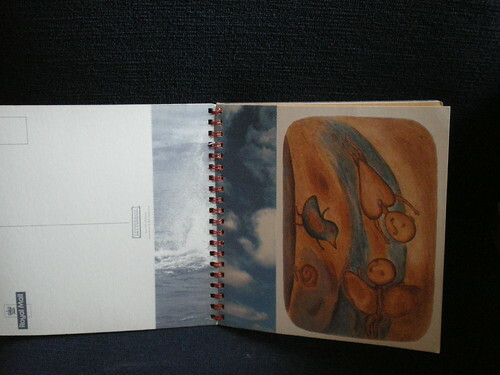 To this date it is one of my favourite notebooks, providing lots of inspiration. It could be argued that it is not strictly speaking a notebook, but the principle is the same – it is to encourage people to write. Inside the notebook is a wide range of postcards, coloured paper and inspirational messages and quotes to fit various moods and occasions. A great idea and a great product. I don’t think they do anything like this now, although they still do a great range of fun stamps. I will keep a look out for similar products, as there seems to be a gap in the market.